The seemingly small job of bookkeeping can quickly become a complicated task for any business...But Annie Homstad, the Bookkeeper on Wheel$, has the knowledge and tools to make it easy. Annie brings years of accounting experience along with good, old-fashioned work ethics right to your door. The Bookkeeper on Wheel$ provides fast, convenient, and reliable services for all of your accounting needs. Don’t wait until the last minute—call Annie today at 614-315-9886 or email bookkeeperonwheel@gmail.com! 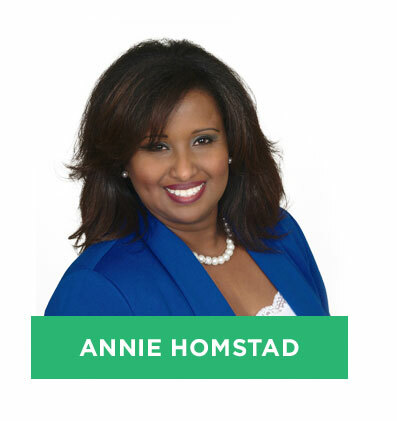 Annie Homstad has spent over 20 years gaining knowledge and expertise in a wide range of banking, auditing, and financial roles. She brings seasoned experience and proven financial strategies for companies of all sizes. Solution-oriented financial professional with proven analytical and problem solving skills. Excellent communications & collaborative skills. Strives for strong client relation and business partnership. Annie’s mission is to bring clarity to the complexity of bookkeeping. Annie provides important insight and tools that will keep your business running fiscally proficient all year round. She does this by utilizing easy-to-use tools like, QuickBooks. This keeps costs low and makes the task of bookkeeping accessible to everyone from small business owners to farmers. Her valuable knowledge will help you get the most out of your hard earned money.